The SSC CPO 2018 Notification was recently out. 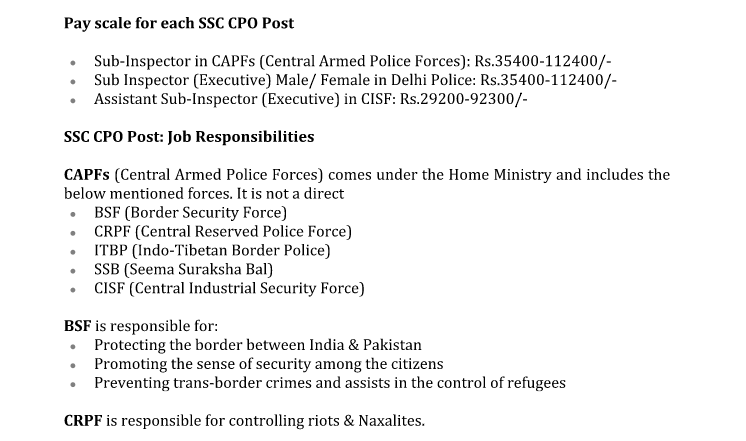 The Staff Selection Commission is going to conduct the Central Police Organization (CPO) exam, an open competitive Computer Based Examination for Recruitment of Sub-Inspectors (SI) in Delhi Police, Central Armed Police Forces (CAPFs) and Assistant Sub Inspectors in CISF. In today’s post, we will look at the pay scale and job responsibilities of SSC CPO post. This post is brought to you by Oliveboard, an online exam preparation platform for government, banking and MBA exams. 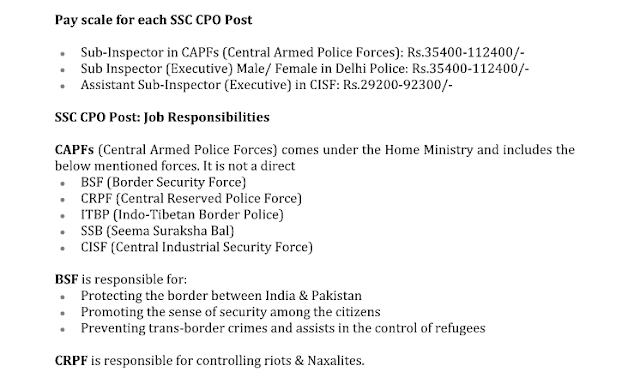 If you join CAPF through SSC CPO, you could be posted anywhere in India. Now, that you know about each SSC CPO post, get started with the exam preparation. Get a clear view of the SSC CPO Syllabus and kickstart your exam journey with a Free Test from Oliveboard now!